if you’re anything like me, you find it difficult to even find time to have a wash, there’s always something more pressing. Here I’m hoping to encourage myself and you to put yourself first a bit more! I woke up on the Wednesday morning about 9.30am and went to the loo. When I ‘wiped’ I realised I’d had ‘a show’ as the books say! So, I got back in bed. A few minutes later I felt like I needed a wee again so I went to the loo and, hey presto, my waters broke! Dave didn’t know what to say or do! At this point I hadn’t had any contractions. I rang the hospital and they asked me what colour my waters were. When I said they were kind of brown and not clear they told me to come in. So off we went to the hospital. When I arrived I was taken to a room on the ward and a midwife checked my sanitary pad (dignity left at the front door…!). She was concerned with the colour of my waters and thought my baby (the beautiful Charlotte!) had done her first poo, the mycomium (yukkie black poo), already so I needed to be monitored. Labour progressed slowly, I had gas and air, and after about 6 hours I had diamorphine to get me through the contractions. This went on for many more hours. I was getting very tired, I was sick a few times, I didn’t eat much and didn’t really feel like I knew what was going on. The staff were great but I think the diamorphine warped my mind! Eventually around midnight I was fully dilated but I had no urge to push whatsoever. Everyone said ‘you will just know’ but I didn’t feel anything except pain and exhaustion. Then my contractions slowed right down and stopped. I had to have a drip of some drug to kick start my contractions again and when they came back OH MY LIFE then I was in pain. I still didn’t have an urge to push though. I had a number of ‘sweeps’ which were incredibly uncomfortable. Charlottes heart beat was being monitored and gradually started to slow. They gave me every chance to try and push but I just didn’t get it. All of a sudden it was all systems go. The midwife pressed the red button. Although I didn’t know what was happening I knew it wasn’t good. 4 doctors and another midwife came in. 2 doctors set up the resuscitation table and 2 doctors were examining me and asking for my consent to perform an episiotomy. They said ‘we need to get this baby out now’. I remember just saying ‘just do whatever you have to do’. I didn’t feel the cut, they told me to try and do one big push and then, with the help of their forceps, she was out. She was blue. And floppy. And not crying. I was panicking and looking at Dave. I could see the fear in his eyes. They put her on me for 2 seconds and then straight on the neonatal resuscitation table and I could hear her grizzling. They asked me what I wanted to call her. I just kept saying ‘is she ok? will she be ok?’ – I didn’t want to say her name incase anything bad happened. I didn’t want it to be real. They gave her oxygen and put her in a cubicle and took her to special care. They then told me I had a bad tear and would need to go straight to theatre. Again I had to give my consent for my operation and I was taken to theatre. It was 3.45am. I had a spinal injection to numb me from the waist down and it took over an hour to stitch me up. I was taken to special care 3 hours later to see Charlotte. She was fine. She only needed help breathing for an hour. She had to have IV antibiotics as she had ingested the myconium and this can cause lung infections so this was precautionary. I was in agony downstairs. My head had gone completely. I didn’t know what day or time it was. After that, the week in hospital was a complete blur. I was well looked after and so was Charlotte but I struggled so much being apart from her and not being able to hold her. It took me a very long time to get over the birth and the separation at birth. For months I wanted to turn back the clock and ‘do it right’. And I didn’t feel ‘right’ down there for almost a year. I also had panic attacks for over a year and suffered with separation anxiety. All of which I put down to the birth. All in all it was horrific. Charlotte is almost 3 and a half, and it is only in the last 12 months I have been able to think about having another baby, and how I would try to do things differently. Yes, she is worth every moment of pain and agony, and if that is what it took to have her then I would do it all again because Charlotte rocks me to the core. But I wish we had a birth story than ended with her in my arms rather than on a neonatal resuscitation table fighting to breath. Having said that, I no longer feel I want to ‘put it all right’ and I don’t feel like I failed or anything like that. Time is a great healer. Cliche but true! Firstly, in 2006 I collapsed at my Boy Friend’s house (now husband) in a lot of pain, so we rushed up to the hospital to find out it was an ectopic pregnancy. This meant I had to have my right tube removed and I was told it may be difficult to conceive a baby naturally. In 2008 we conceived our first baby boy. The pregnancy went really well until a month before my due date. I got some pretty extreme tightenings so we went up to the hospital and they said I was 3cm dilated and the baby would be here in 24 hours. We were in shock. I didnt feel the urge to push, but I pushed like I have never pushed before, but it wasnt enough. The doctor then said we need to do a forceps delivery. I was given an episiotomy then the doctor placed one forcep in and then the other and clicked them together. Then I pushed as the doctor pulled. It was terrifying. My husband had his hands on his head pacing the room. Then the doctor got her feet on the end of the bed and pulls. Finally his head appeared followed by his body at 9.48am weighing 7lb.6oz!!! When I think of twins, I don’t know about you, but I think “uh-oh”. Not only does the thought of looking after 2 little ones, i.e. a tag team of crying – I’m done, now it’s your turn – make me weak at the knees but there’s the whole pregnancy and giving birth to them issue to deal with first! Having said all that, Rebecca makes it all sound incredibly doable. And, she has kindly shared her beautiful birth story of hope in the face of double the obstacles! 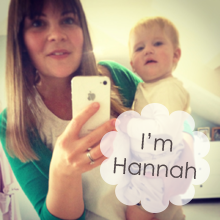 After nearly a year of trying for a second baby we were thrilled to find out I was pregnant again in October 2012. Two weeks later I started bleeding and had to wait until the following day for a scan at the early pregnancy assessment unit. The days wait was awful, it was my son’s 4th birthday and I was trying hard to be bright and happy but not knowing whether I had lost the pregnancy was eating me up inside. 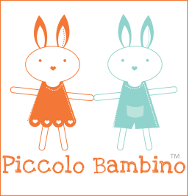 The following day I had my scan and was completely prepared to be told that I had suffered a miscarriage, only to be told that we were expecting twins! I continued to have bleeding on and off until I was 16 weeks and lost count of the amount of extra scans I had! I was also signed off work with hyperemesis for 10 weeks and was hospitalised due to this at 13 & 32 weeks. I was filled with anxiety when it came to the birth and aware that the twins were likely to be small and require time in special care. My midwife advised that there was an increased chance of them arriving early so for me, every extra day and week was a blessing. Before finding out it was twins, I wanted a home birth with no assistance or pain relief, and wanted everything to be relaxed and calm. This was not possible anymore and my midwife warned me that there would be a lot of people in the room. To try and regain some control I read a hypnobirthing book to help me relax as much as possible. I made it to 38 weeks on my own and was booked in to be induced. I dropped my son off at nursery and had to hold back the tears knowing that the next time I saw him he wouldn’t be an only child! I had a proglastin gel pessary at about 1pm and was then told to wander around to try and get things going. It was a lovely sunny day and I ended up doing laps around the hospital grounds! At about 6pm I returned to the ward and was chatting to my partner when I started to get mild back pain, these got a lot more intense very quickly and within 10 mins I was finding it quite uncomfortable! 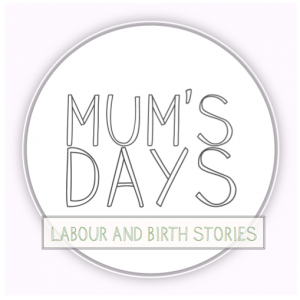 The midwife offered me some paracetamol but wanted to examine me first – I was 6cm dilated! I was wheeled round to the labour ward and by this time the contractions in my back were getting very intense. A lot of people were around me, one nurse was putting a drip in my arm and I started to panic. I had some gas and air and my partner tells me I then started to calm down and went into myself. I asked for an epidural but after being examined I was 10cms! 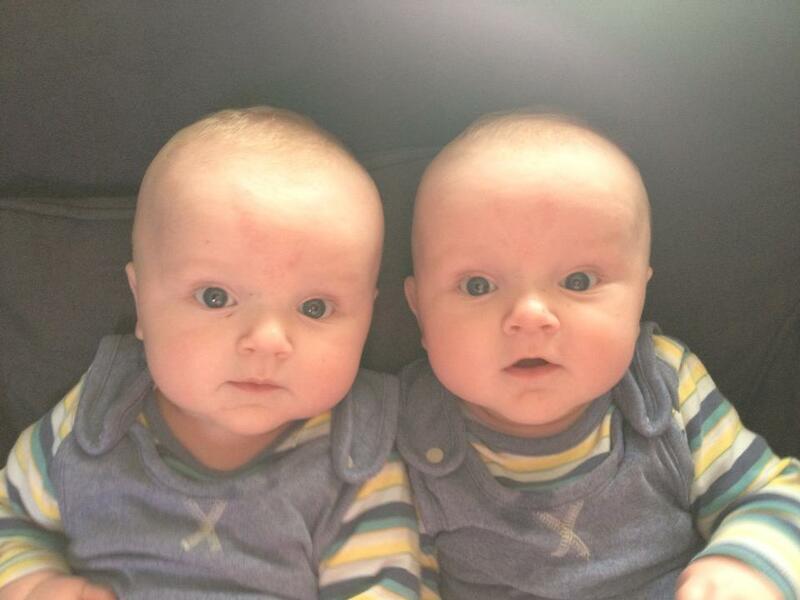 My twin boys were born naturally at 7.30pm & 7.37pm weighing 7lb5oz & 7lb8oz! For the actual birth the only people in the room were my partner, midwife and a student midwife and they were fantastic. They really let me birth them myself and offered support where I needed it but they very much took a step back. I was able to leave hospital the following lunchtime. Despite all the extra anxiety that my pregnancy came with, I wouldn’t change my birth experience for the world. I was amazed by how well my body coped and recovered afterwards- for the first few days afterwards I felt like superwoman!! My boys are now happy, healthy 4.5 month olds! Matthew and Daniel Twins Birth Story! Have you had twins? How was your experience? Or are you expecting twins? How are you feeling?? 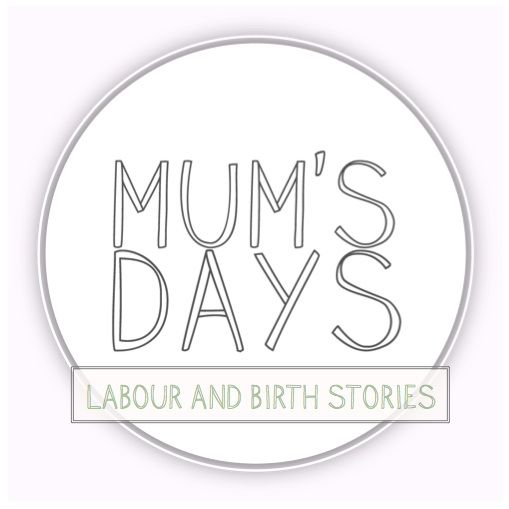 I’d love to hear from you either below or on the Mum’s Days Facebook Page!